If It's Hip, It's Here (Archives): A Field Guide To Typestaches. Fonts As Moustaches Poster Purchase Supports Men's Health This Movember. A Field Guide To Typestaches. Fonts As Moustaches Poster Purchase Supports Men's Health This Movember. 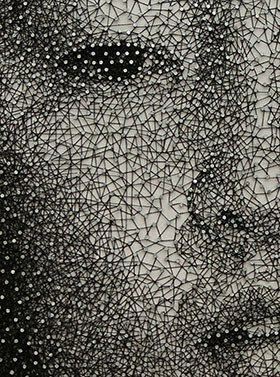 In honor of Movember*, Taxi shared with us this 2009 poster by art director and designer Tor Weeks. 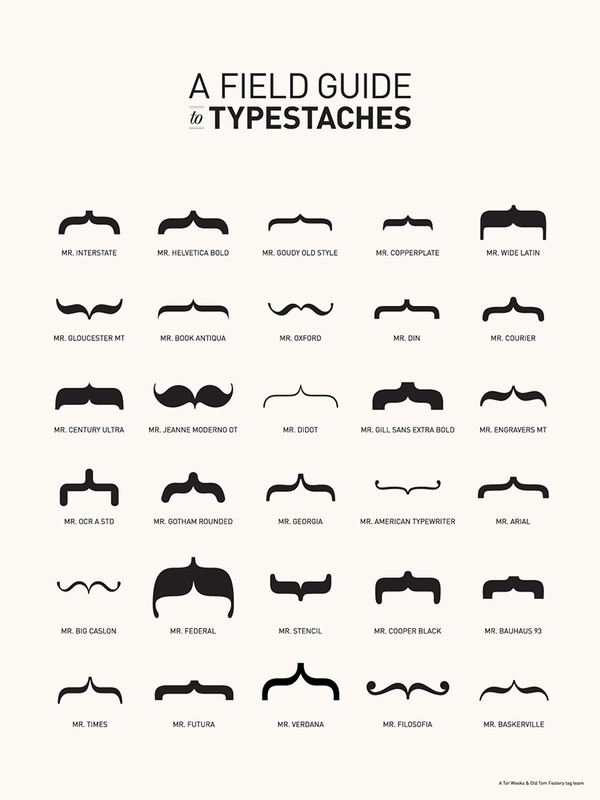 The Field guide to Typestaches shows us 30 different font brackets as moustaches. 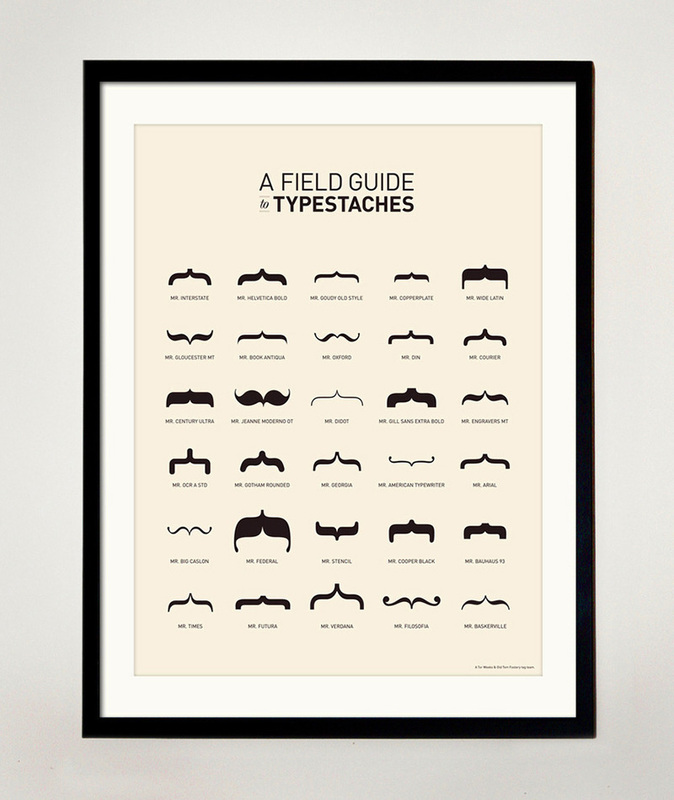 The Field Guide to Typestaches Poster is available for purchase, see details and link below. *Movember is the global men's health charity engaging men to grow and women to support the Mo (moustache) for the 30 days of November. Through the power of the moustache, awareness and funds are raised for men’s health, specifically prostate and testicular cancer initiatives.